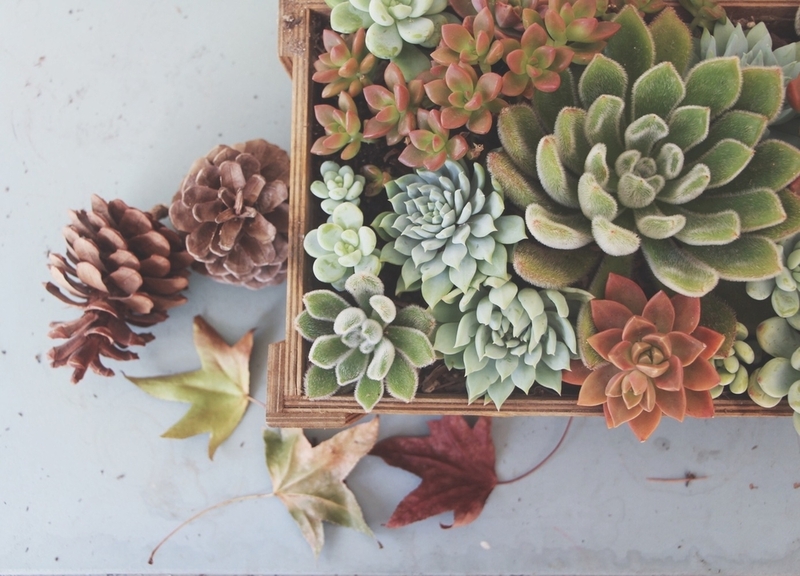 Arranging succulents is one of my favorite things! I love watching it come together and then seeing the finished project. A lot of the arrangements you see in stores have the plants clumped together by type. This is where I like to change it up by spreading the different plant types around throughout the arrangement. I start by choosing all the plants I want to use. Sometimes I just grab some from my yard or I'll pick up some new ones at the store. I usually try to keep it to 4 or 5 of the same type of plants, with one bigger beauty for the middle! 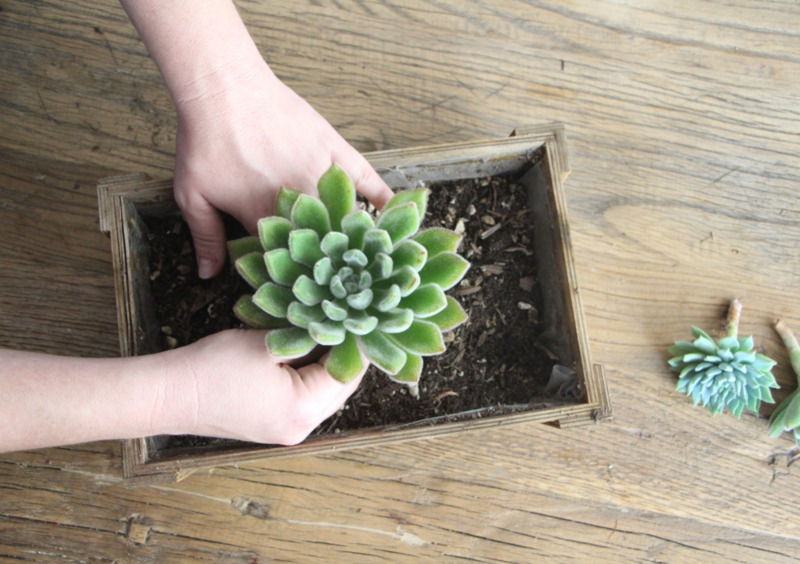 Fill up the container you are going to use with succulent soil about 3/4 of the way up. You will need to keep extra soil on the side to keep filling up the container as you add more plants. Place your biggest succulent in the middle. Dig a hole with your fingers and place the plant's roots and stem into the hole, then surround the plant underneath with soil. Try to keep the roots on all of the plants if you can, as this will help them begin to flourish in their new home quickly. If you are planting cuttings be sure to let the ends callous over for a few days before planting them in soil. If you plant a fresh cutting in soil it may absorb too much moisture and rot. From there, start adding plants on either side of the middle plant. I think of it as a mirror and add the same plants on each side. 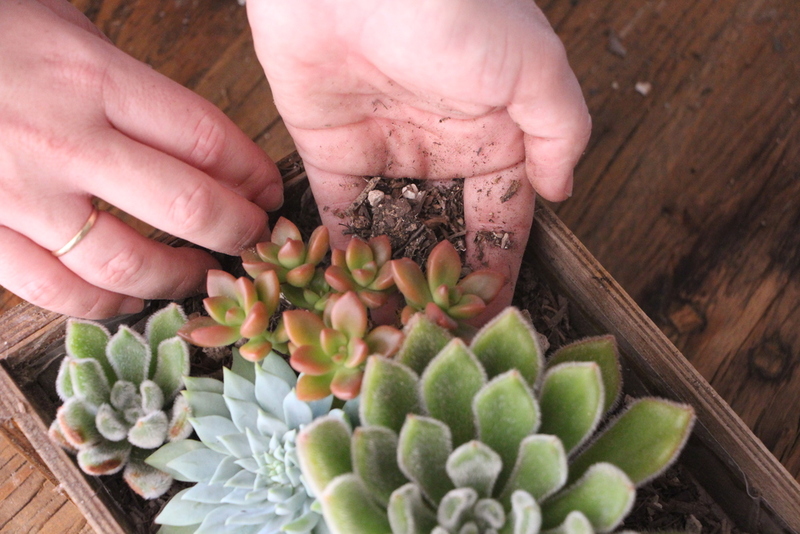 Remember every time you add a plant, dig a little hole, place the plant and surround it with the extra soil. 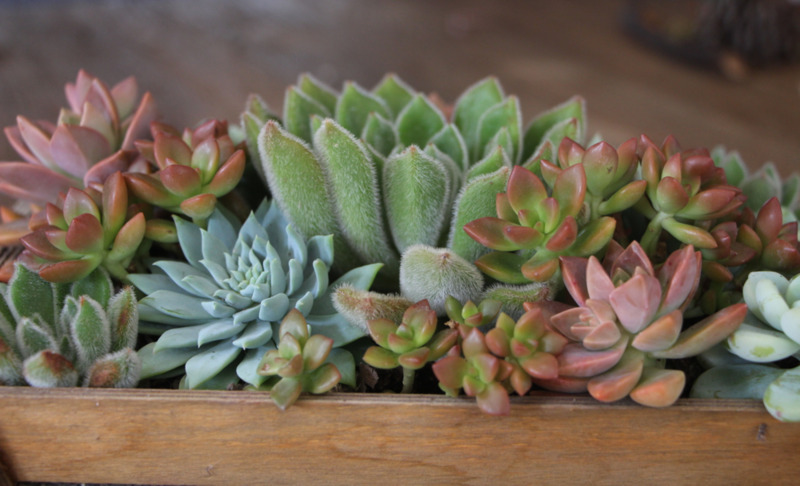 With succulents, this can be a bit trickier than it sounds. Try your hardest to handle the plant by the stem, not the leaves, to avoid unsightly scratches and markings. In addition, when you add soil, take care not to get it on the plants. If you accidentally pour soil on top of a plant, gently blow it off or use tweezers to remove it without scarring your plant. Try to fill in all of the empty space in your container so that no soil is showing. You can fill in the small spaces with smaller plants, which are always adorable! Sometimes it's difficult to create holes for smaller plants. In that case, try using a pencil to create smaller holes. I hope this tutorial helps you create a beautiful arrangement! If you have any questions you can leave a comment below or find us on Instagram under @needlesandleaves. Get notified of coming workshops, new blog posts and more! COPYRIGHT © NEEDLES + LEAVES. ALL RIGHTS RESERVED.